I just had to share this dress with you guys! 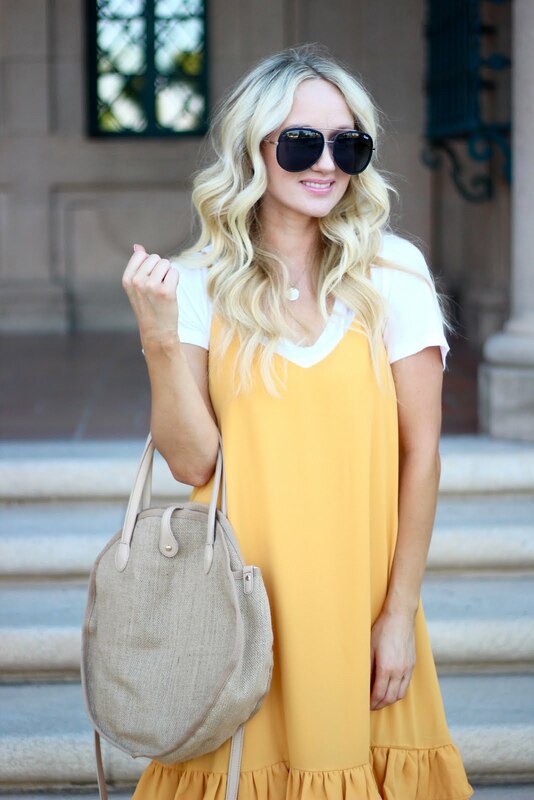 It is perfect for summer and I love that you can wear it so many different ways. 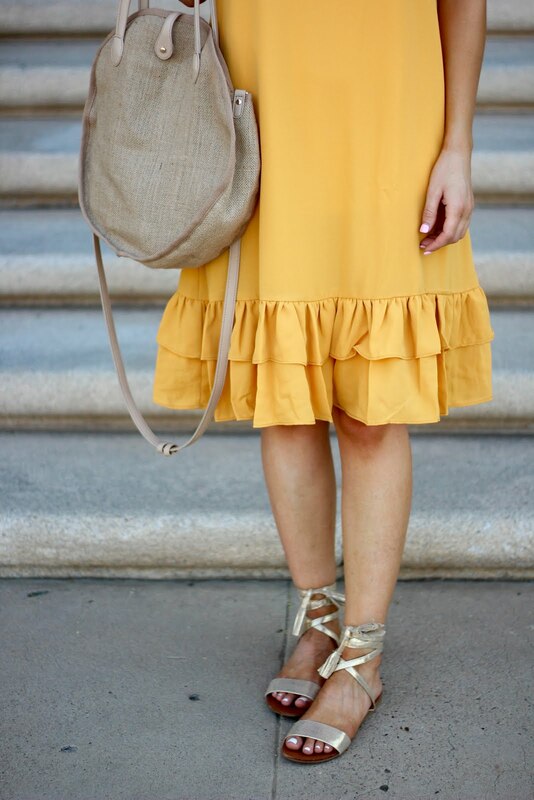 I wore it with a shirt underneath, but you could actually wear the same tee over the dress and tie a little knot to the side and make it look like a skirt, really making the ruffle hem the focus. Also, you could wear a denim jacket over it, if your lucky enough to have chilly summer nights. I also wore some sandals with this, but I wore it with converse the other day and it looked super cute! And it is only $18!